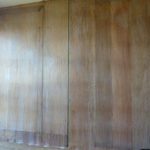  We have tested quite a few finishes, from smooth to textured, and all of them are beautiful, with the hemp clearly visible. 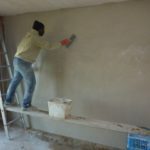 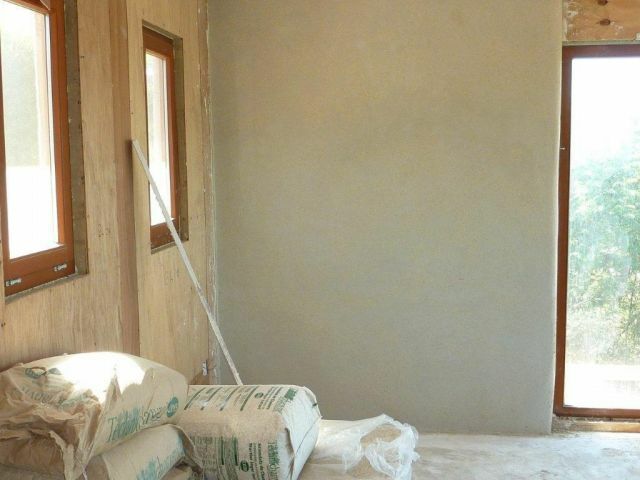 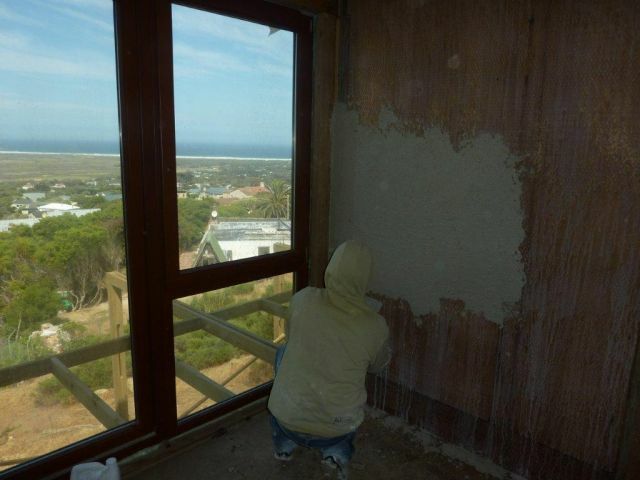 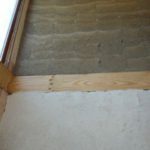 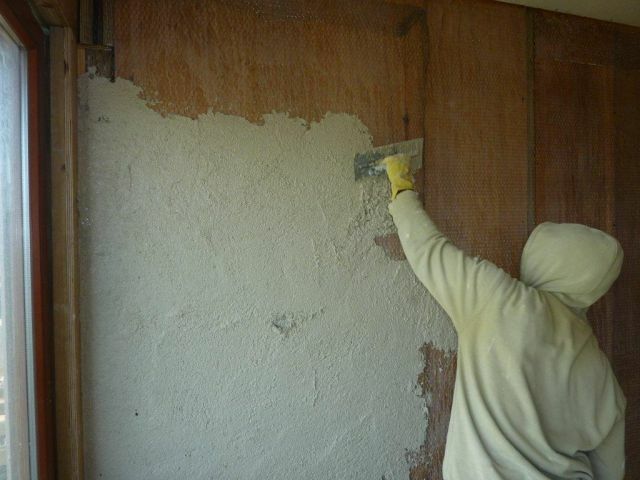 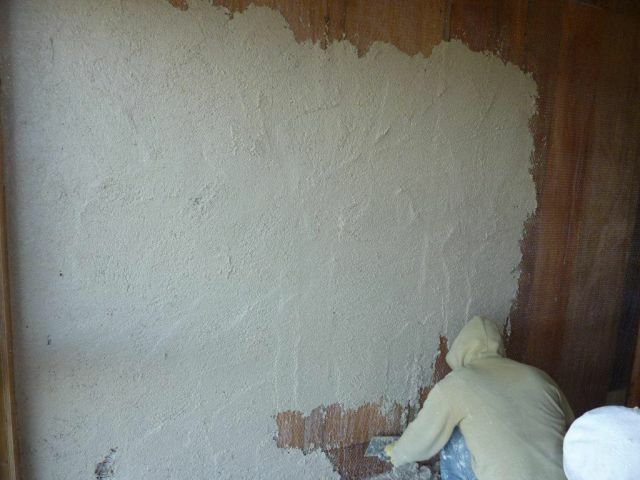 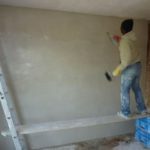 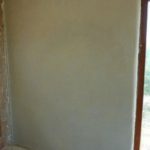 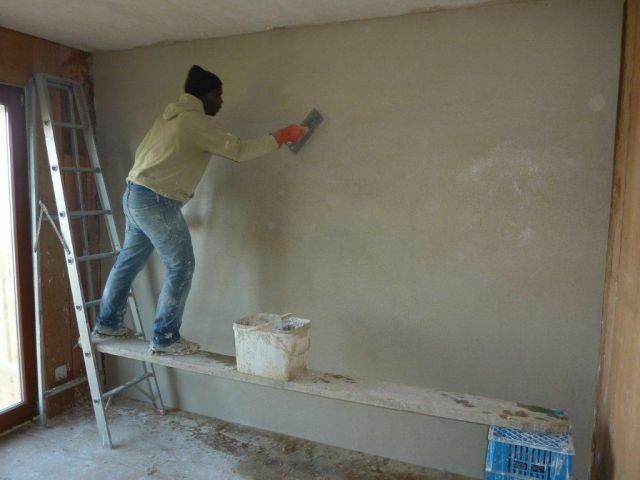 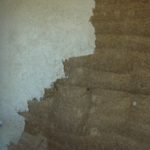 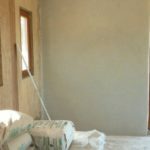 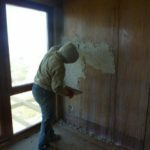 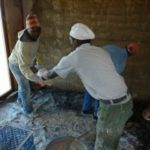 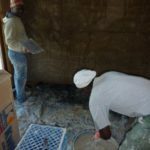 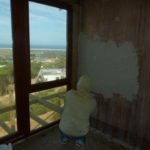 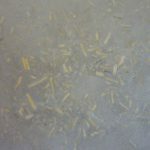 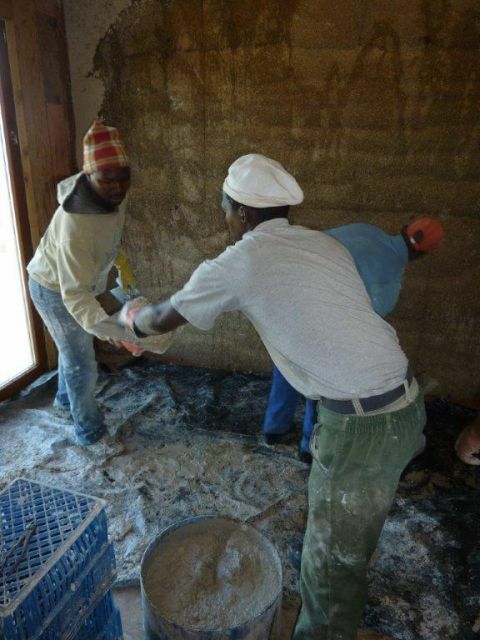 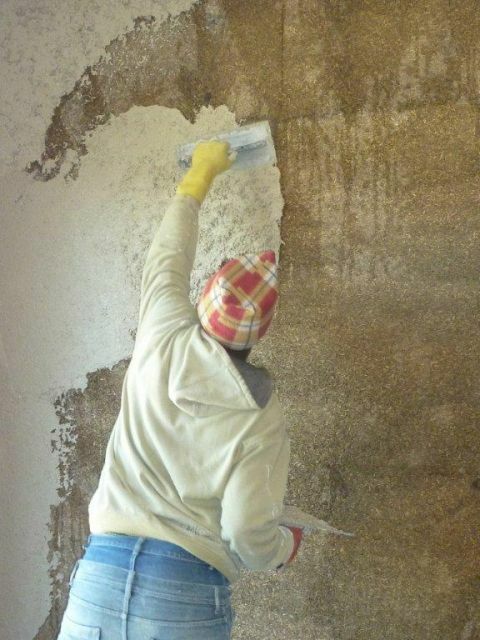 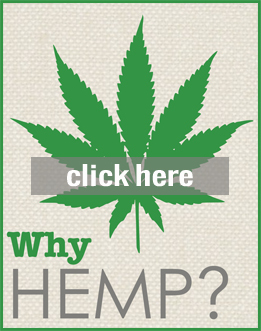 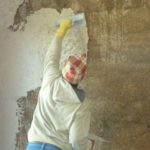 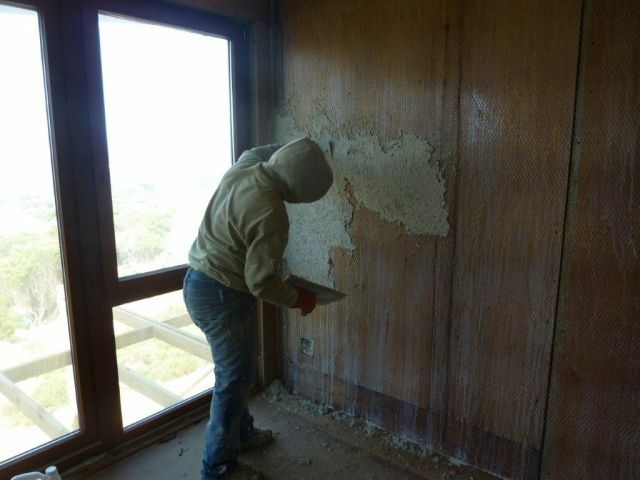 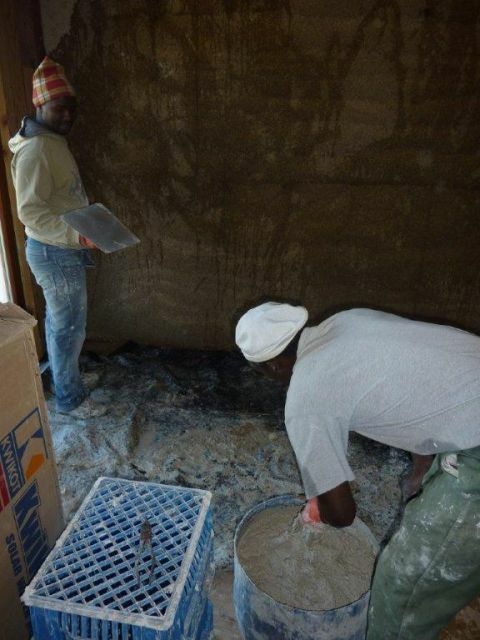 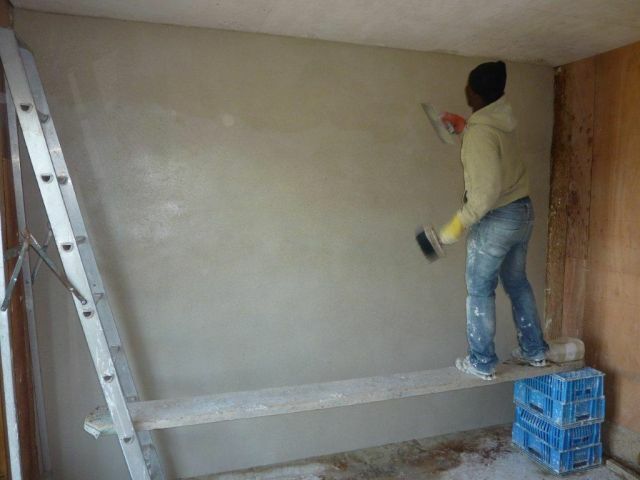 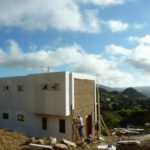 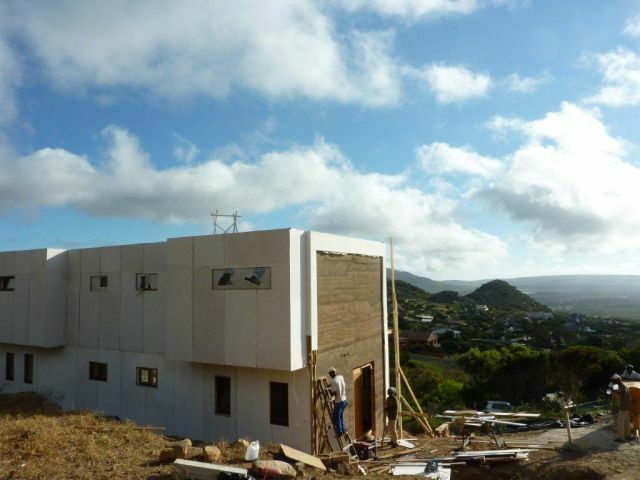 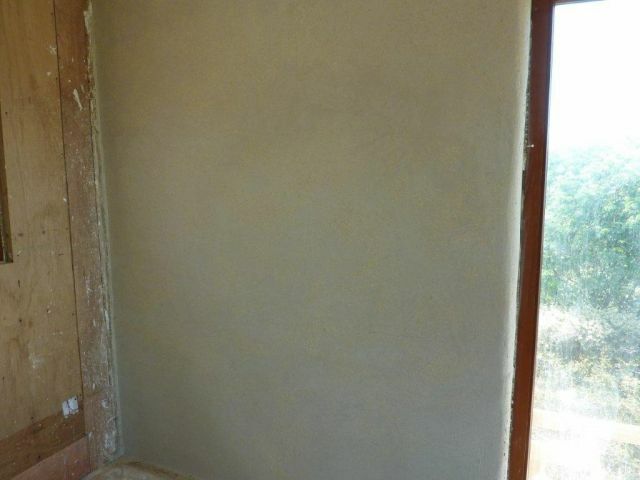 The work takes quite a while, especially as the artisans are learning how to work with the hemp plaster, but they are all very impressed with the product, and how hard the hempcrete has set. 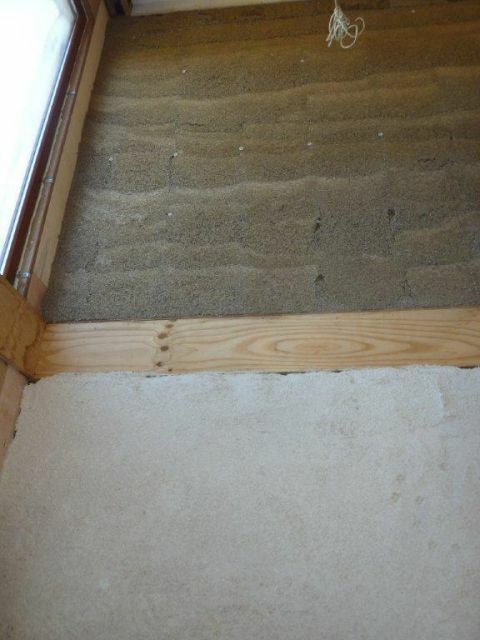 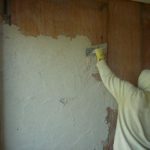 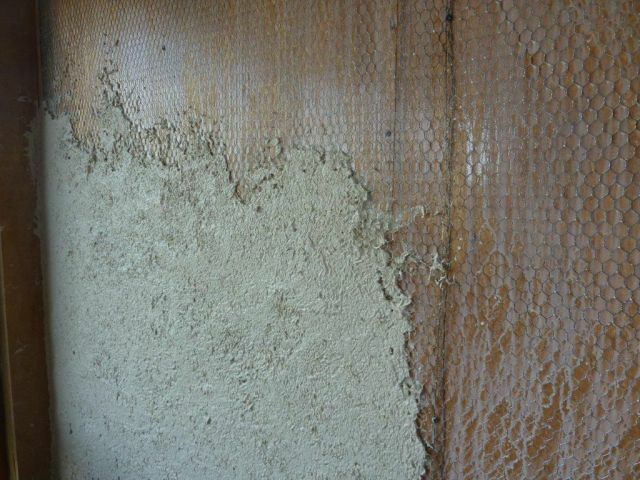 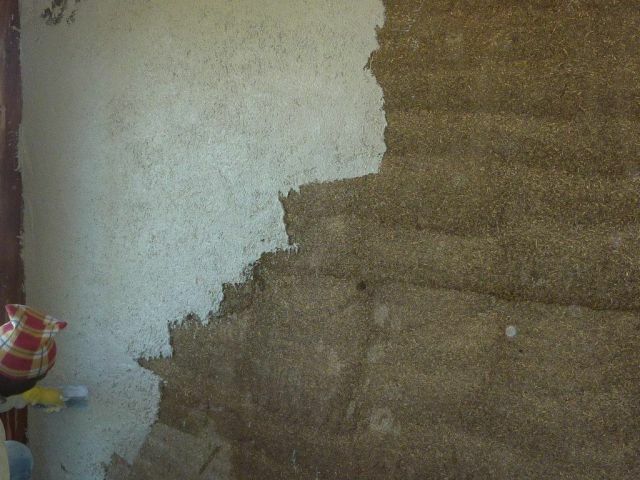 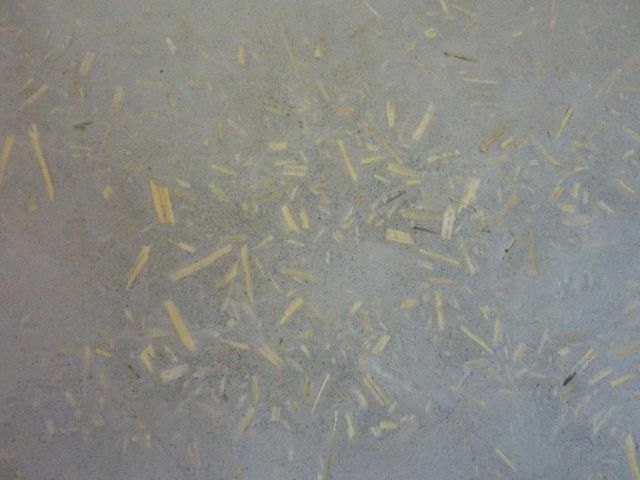 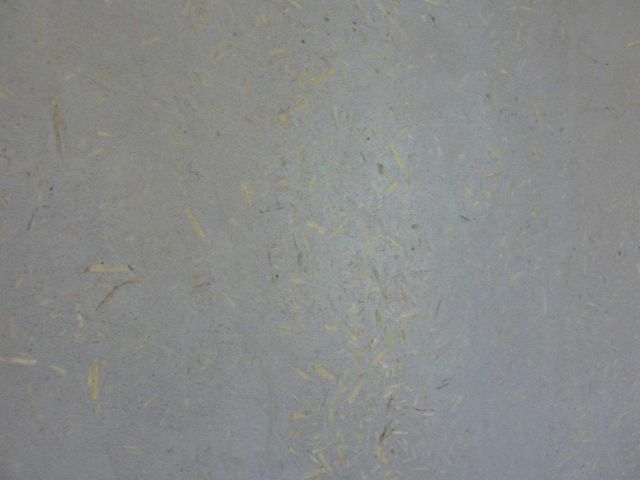 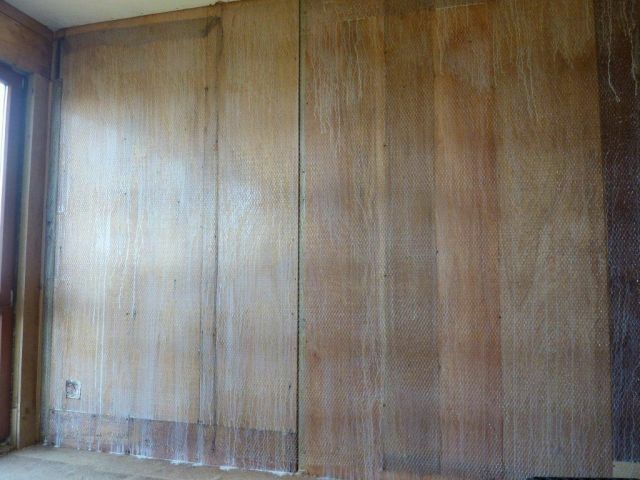 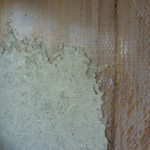 We also tried a technique of plastering over wood using chicken wire to hold the plaster. 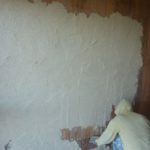 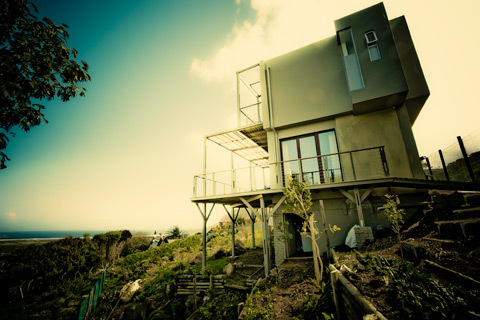 It is looking good!